Strength is defined as the amount of force a muscle or group of muscles can produce. In other words, how much weight you can shift on a strict lift, with no momentum. Leverage is a factor you have absolutely no control over. You can’t alter where your tendons insert, or the length of your limbs so get over it. Interesting fact - the major reason apes, such as chimps, are much stronger than us is because their large tendons insert at points giving them more leverage. Now to factors over which you have at least some control. The surface area of a muscle is basically its size. Weight training, particularly bodybuilding style routines add surface area, but we have already ascertained it’s not the be-all and end-all. Put simply, human muscles are made up of a mix of type 1 and type 2 fibers, with type 2 being the most beneficial regarding physical strength. While you are largely genetically pre-dispositioned to a certain fiber type, training can alter this drastically. This is the big one. It is the intensity of the muscle contractions allowing a smaller guy to lift heavier weights than the larger guy. It is essentially a matter of how many nerves fire at any given time. The whole of the muscle does not contract at the same time. Small areas, known as motor units, fire alternately to produce a smooth contraction. The more motor units contract, combined with an efficient nervous system, the more powerful the contraction. 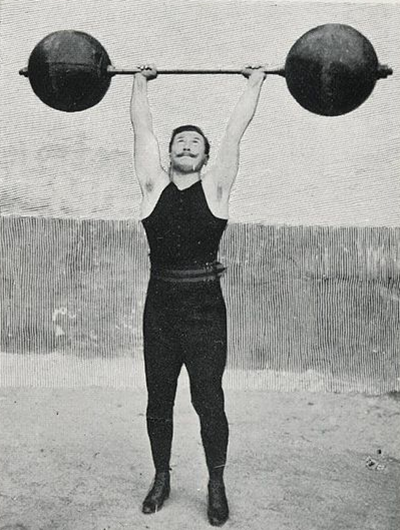 While some people are born with natural strength, this factor can be trained by using proper strength training techniques. Blood chemistry is vitally important for muscular strength, and can be the deciding factor in whether you are having a good or a bad day in the gym. Many factors within the blood can affect day-to-day strength, as well as your long-term development. Proper electrolyte balance is essential for proper hydration, muscular contraction, and even concentration and motivation. The best way to achieve this is by eating a healthy diet and drinking plenty of water. In hot climates, electrolyte supplements may be useful. Perhaps the most important blood factor is the big T, testosterone. Testosterone plays a huge role in strength training, from providing aggression and focus, to driving energy into the cells, and setting up an anabolic environment for optimum recovery. All but the first factor mentioned above can be altered in some way through weight training. The best way to get the most from your training regime is adding top quality supplements, like those available from Sheer Strength Labs. Following is a list of the three must-have supplements for seriously upping the poundage on your lifting. Creatine has been around for many years now and is now a household name in the world of sports supplements. Alongside protein, creatine is a supplement every serious sportsperson should be taking as a part of their diet and training regime. There are many forms of creatine, all claiming to be better absorbed and more potent than the others. In truth, the only form of creatine standing up to rigorous testing and showing as a truly great supplement is creatine monohydrate. Creatine monohydrate was the first commercially produced version of creatine and is still the benchmark by which all others are measured. [caption id="attachment_5563" align="alignright" width="400"] Wiki (CC-BY)[/caption] To fully understand how creatine works and why it is so effective at building muscle and strength, a little science lesson is needed. The body runs essentially on two distinct energy systems, aerobic and anaerobic, meaning with and without oxygen. Put very simply, jogging is mainly aerobic, and weight training is mainly anaerobic. Due to the intensity of muscle contractions when lifting weights, very little oxygen can get into the process, leaving a concoction of neat fuels, mainly glucose. This produces very powerful contractions but leaves behind the by-product of lactic acid. Whichever system your body is using at any given moment, the overall goal is the production of ATP, the only fuel your muscles can use. When your muscles can no longer produce ATP, they will simply fail until you rest and regenerate your ATP levels again. However, when ATP levels fall to a critical level, your body has another small system it can use to give you a few second boost. This is called the creatine system. Your body has a small amount of creatine, which essentially acts as relay runners, rapidly replenishing ATP levels. If you supplement with a small amount of creatine each day, your creatine system functions at a much higher level. What does this equate to in the gym? An extra rep or two, that’s what. The extra reps see you to absolute failure and make the gains you need. Another way creatine supplementation can seriously up your strength is by causing a small amount of water retention, thereby making the surface area of your muscles larger. Sheer Strength Labs Creatine Monohydrate is a top quality, 100% pure supplement proven to pack on muscle and strength. The best way to take creatine is in cycles. If you take it all the time, your body adjusts to it, and it becomes less effective. Try taking it for eight weeks and then taking a 4-8 week break before recycling. [caption id="attachment_5564" align="alignright" width="400"] Ed Schipul @ Flickr (CC-BY-SA)[/caption] As previously mentioned, testosterone is perhaps the most important blood factor in making strength and muscle gains. 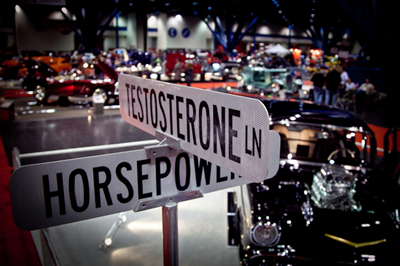 Testosterone is the main anabolic hormone in both males and females. It increases size and strength by pumping energy and proteins into the muscle cells to help you lift and grow. It is also a major component in getting pumped up for a gym session. Remember, half of the battle is in your head. There are many ways to boost your testosterone levels naturally, including eating a diet full of quality protein and good fats, and lifting with high intensity in the gym. 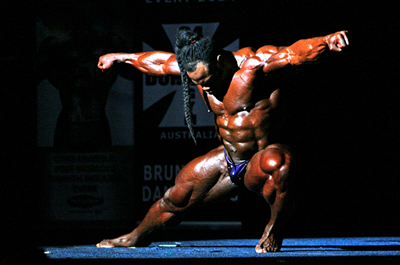 Big lifts like squats and deadlifts are the best for sending your testosterone levels through the roof. To send your levels soaring you need to be taking a testosterone booster. Testosterone boosters are not steroids, Instead, they contain ingredients telling your body to naturally up the testosterone levels. Like creatine, they should be cycled to achieve the best results. Some ingredients you might expect to find in a good testosterone booster are zinc, eurycoma longifolia, tribulus terrestris, and horny goat weed. These are all natural, totally safe ingredients, most used for hundreds or thousands of years by tribes and peoples around the world to increase fertility and vitality. Sheer Strength Labs make two excellent testosterone boosters, Sheer Strength Testosterone, and Sheer Alpha, both contain the finest ingredients, mixed to produce optimum results, albeit in slightly different concoctions. [caption id="attachment_5565" align="alignright" width="400"] Wiki (CC-BY-SA)[/caption] When you train intensely, your body takes energy from whatever sources available. Most of the time in the form of glucose and other sugars, but your muscles also consume free fats and even protein in its base form of free amino acids. Where do these amino acids come from? They come from your hard-earned muscle breaking down, that’s where. This, obviously, is not part of the plan when it comes to strength training. The amino acids your muscles will most commonly use for energy are leucine, isoleucine, and valine, the branched chain amino acids (BCAA’s). Now, I’m sure you’ve already worked out where this is going….. If you supplement with BCAA’s, particularly before, during, and after training, your muscle tissues will be largely spared from being broken down. Sheer Strength Labs manufactures premium quality, completely pure BCAA capsules, containing the optimum ratios of the three BCAA’s, to help you train hard and maintain your muscle mass. If you don’t already use the three supplements detailed above, start today. Check out the Sheer Strength Labs shop for all your supplement needs.